Also known as our "Fun Friday"emails, you will get updates on sales, promotions, awesome travel tips, helpful organization hacks, and so much more. Join our EzPacking family and stay in the loop! Have You Checked Out Our Other Products? 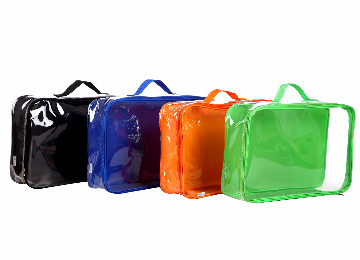 Our Starter Set is a set of four clear packing cubes. It is the best and easiest way to pack a carry on suitcase for travel with 7-10 days of clothes. 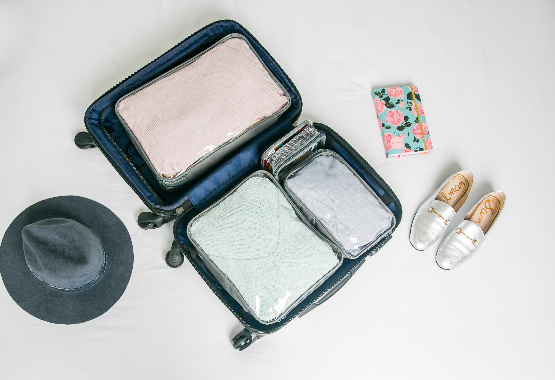 The clear packing cubes turn your carry on into a set of see through drawers, making it easy to stay organized while traveling. Make 2018 the year of the organized suitcase! Mix colors and sizes to create a unique organizational system. Perfect for packing 7-10 days worth of clothes into a carry on suitcase. 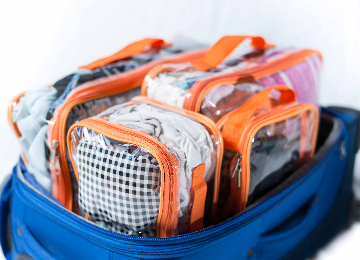 Pack 3-4 weeks of clothes into a standard 28" suitcase. $143 now $119 = 22% OFF! 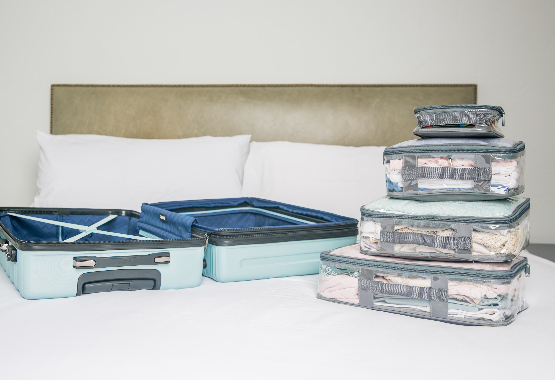 Problem: Traveling with a messy suitcase is a disaster. 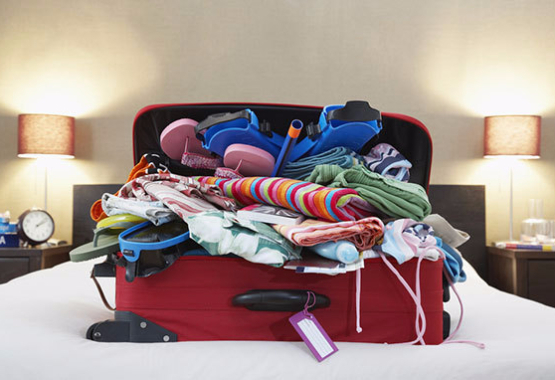 Unpacking at each destination is a mess, clothes become wrinkled, and it is impossible to share a suitcase. Traveling with children is difficult as is. Nobody needs the added stress of packing and organization! 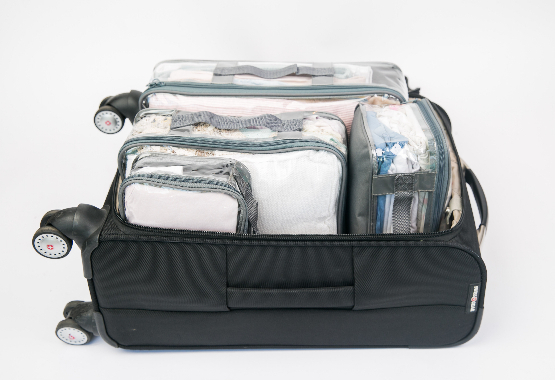 Solution: Packing cubes compartmentalize a suitcase so you can easily find what you packed. Shirts go in one packing cube, pants in another, etc. Problem: Packing is a pain. Where do you start? 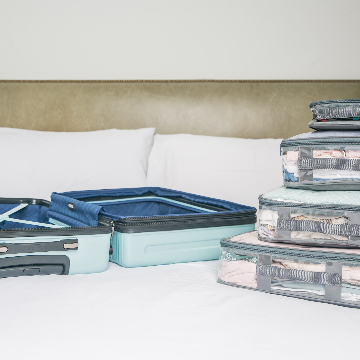 How do you neatly fit your wardrobe into a suitcase? Solution: Packing cubes make packing a structured and organized process. Shirts go in one cube, pants in another, etc. 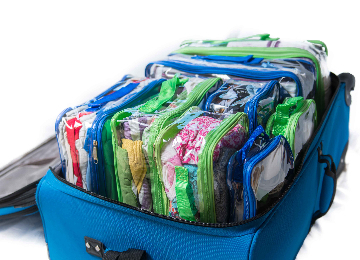 Packing cubes fit into a suitcase like Tetris pieces, making it easy to prepare for a trip. Problem: Airlines constantly updated their baggage policies. If a bag is too heavy, you'll need to repack or pay the fee! Solution: Packing cubes make it easy to take out a cube and repack into a different bag. 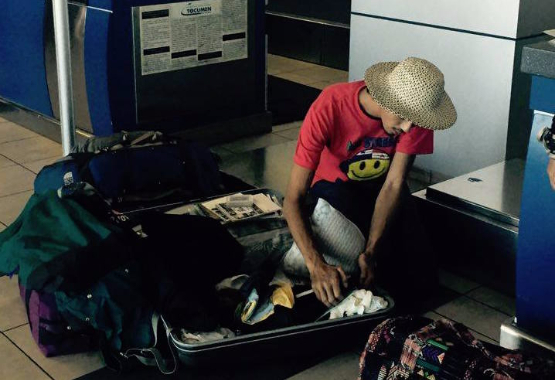 Don't go into a repacking frenzy in front of the entire airport like this guy! ​Now that you know why you need packing cubes, what makes EzPacking different from the rest? Most packing cubes are made of mesh and other fabrics. Not only do these materials easily break, they make it difficult to see what is inside each cube. This can cause confusion. You might as well not use packing cubes at all. What's the point of packing cubes if you can't see what's inside them?? 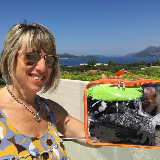 The EzPacking Difference: At a glance, you can see what is inside your suitcase! Mesh and fabric based packing cubes are flimsy. They don't hold their shape. This results in clothes moving around in a suitcase, causing wrinkles in clothing. The EzPacking Difference: Modular construction make our cubes more supportive because they keep their shape. This helps reduce wrinkles and maximizes space in a suitcase. We are a family owned business. We write love letters to our customers, follow up to make sure the packages arrive and will spend hours on the phone answering any questions and getting to know you. To other big "corporate" companies, you are just another customer. 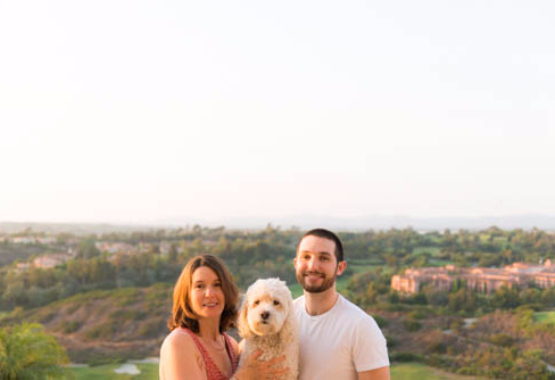 Over here at EzPacking, we treat customers like they're part of the family. Don't believe us? Check out our Facebook page to see what past customers have to say (scroll down to see customer photos)! Not sure if EzPacking is for you? While we hope you will love EzPacking, everyone has their own taste. Shop risk free and learn about our return policy here.